Archival Art Panel with wood cradle made of Natural Maple, all wood painting support for artist to paint on. Proudly made by Art Boards™ for artists to paint on. Archival Painting Panels can be built to any custom size. 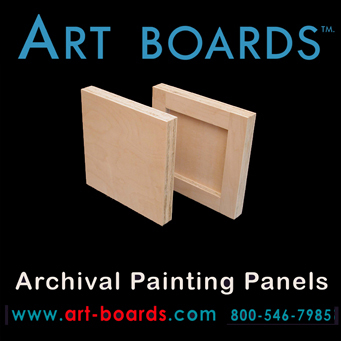 Art Boards™ Art Panels are all made in the USA. Satisfaction guaranteed or full refund on all orders. Made in Brooklyn NY, USA.